There’s isn’t much to add to the above GIF, other than that I think it’s a really cleverly designed and demonstrated concept. The idea of CMYK printing is nothing new to me; I’ve been interested in the physics used in forming imagery since I first noticed the tiny circles of colour (read: pixels) on a Coca-Cola vending machine image at school. Heck, I’ve worked for a newspaper company right next to the printing warehouse and currently program for a company that specialises in bulk printing! That said, I still find the concept of combining varying levels of cyan, magenta, yellow and black to form a seemingly full-colour image a little magical. I’m clearly not the only one, too, and this was a little too well executed not to share. PS: This is also the first time I’ve ever posted using a card. Having finally seen the process in the wild, this is also a little bit magical. I’m just a little concerned its magical towards the Dark Arts end of the spectrum. How Do I Join Hell’s Anthropologists? 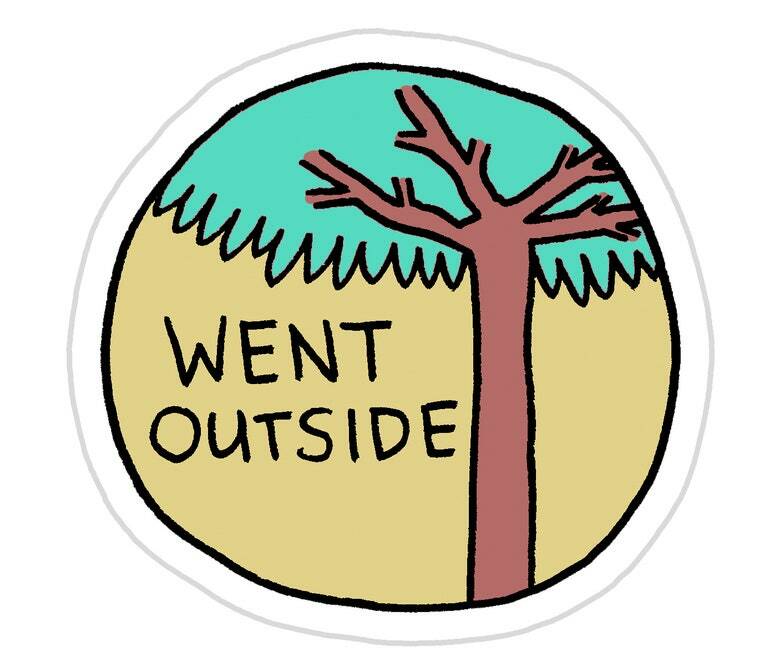 Science Gang Tattoos by Tom Gauld, created for New Scientist. 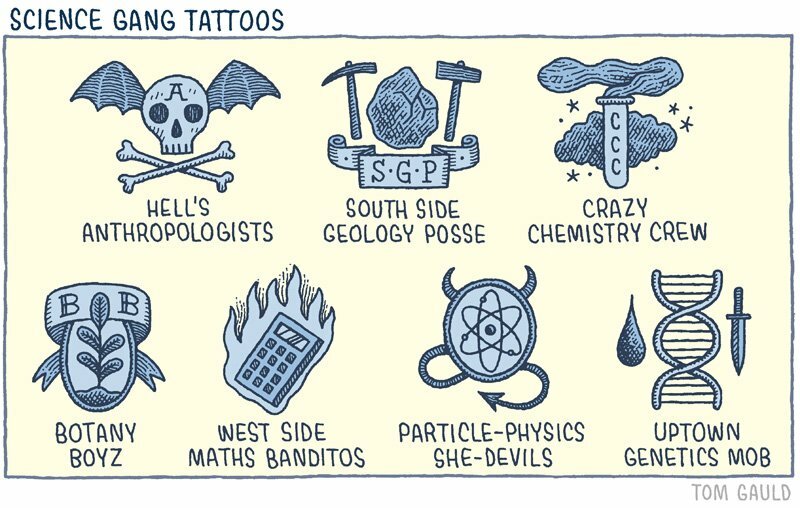 A brilliant little illustration of possible science-based gang tattoos. The names aren’t the best (though Particle-Physics She-Devils has a special place in my soul) but the actual imagery is spot on. I’d love to revisit this idea at some point and come up with my own variation for us Evolutionary Biologists (or possibly Software Engineers, I can rep both crews)! Author MurrayPosted on May 26, 2016 Categories Awesomesauce, DesignTags gang, hell's anthropologists, illustration, science, tattoosLeave a comment on How Do I Join Hell’s Anthropologists?